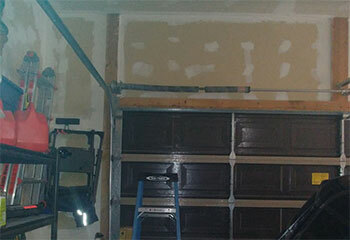 Your garage door deserves the finest service in town! Our specialists guarantee that completely by offering you the finest repairs, friendly technicians, top-quality replacement parts, and the most affordable prices. Scroll down below to enjoy a few of our most recent projects! Customer Issue: The customer’s handset shut down entirely, despite the batteries being fresh and properly inserted. Our Solution: The team opened the unit up and had a look at the wiring. There was a problem with the wires themselves, as they’d been quite frayed. Even one of the conductive springs inside the battery socket was damaged. Replacing the remote and programming the new unit solved the problem. Customer Issue: Safety sensors became misaligned. 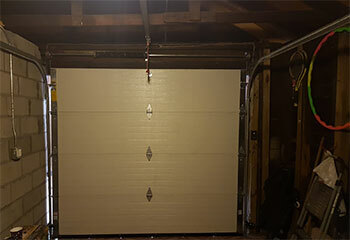 Our Solution: This customer's garage door opener was "unwilling" to close. A quick examination of the photo eye sensors revealed that this was an alignment issue. We repositioned both units, checked their wires and cleaned their lenses, and the problem was solved. Our Solution: Unfortunately, not only is this one of the more common problems that can happen, it's also one of the more dangerous ones. 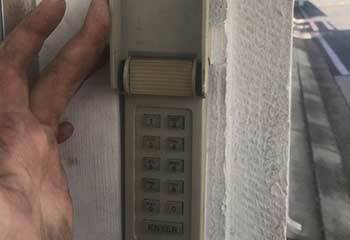 We carefully secured the door in place and removed the damaged spring. Then, we installed a new one, adjust its tension, and tested the door a few times to make sure it was working correctly. 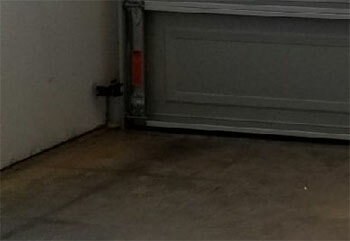 Customer Issue: Garage door constantly shaking. Our Solution: We checked the fasteners to see if it was simply a matter of loose screws. However, as we inspected the tracks, we found clusters of dents that were causing the rollers to jiggle each time they passed. We repaired the damage to the tracks and the door resumed its smooth and silent operation.